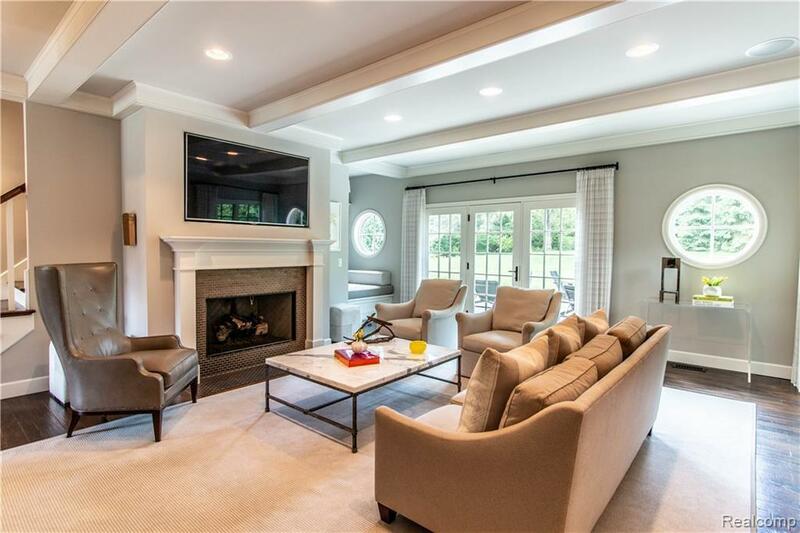 Nantucket style estate home in the heart of Bloomfield Hills on nearly an acre of serene treed landscape. Every inch renovated or added on in 2014 to create this ultimate combination of comfort, function & style. 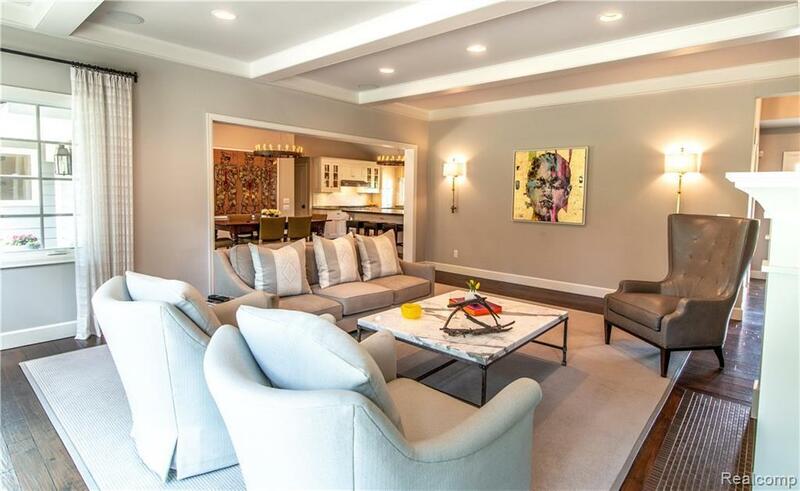 Only the highest quality of design throughout from the scraped walnut hardwoods, wood beam ceilings, custom built-ins, ultra chic lighting, tile & stone selections. Gourmet KIT w/quartz countertop & center island opens to dining rm & expansive family rm w/built in reading nook & fireplace centerpiece. 1st level includes 3 large bedrms w/bonus kids rm/command center, ample storage laundry rm & mud rm that connects to 3 car garage. 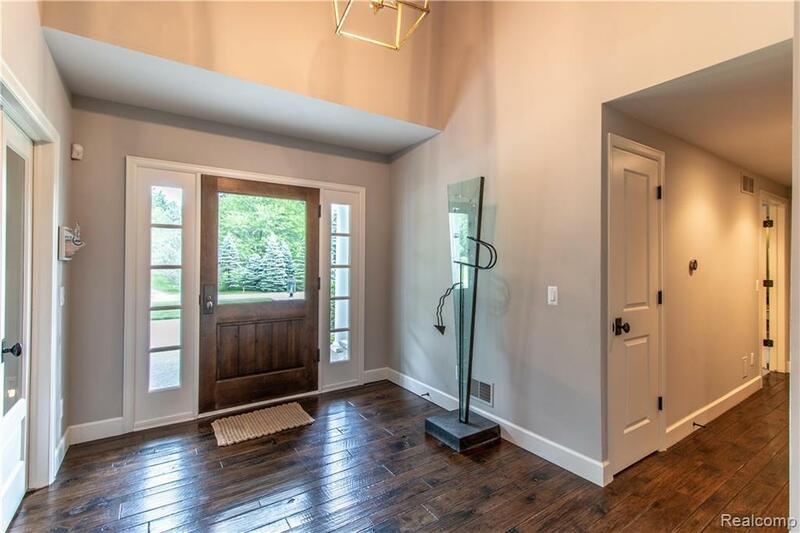 A true master retreat upstairs, set apart from the rest of the home, features spa bath w/soaking tub, euro glass shower, separate vanities, his/hers WI closets, & its own washer & dryer. Aggregate patios, ultra private landscape, & home generator complete this luxurious & comfortable home, designed for today's family lifestyle. Also avail for sale.